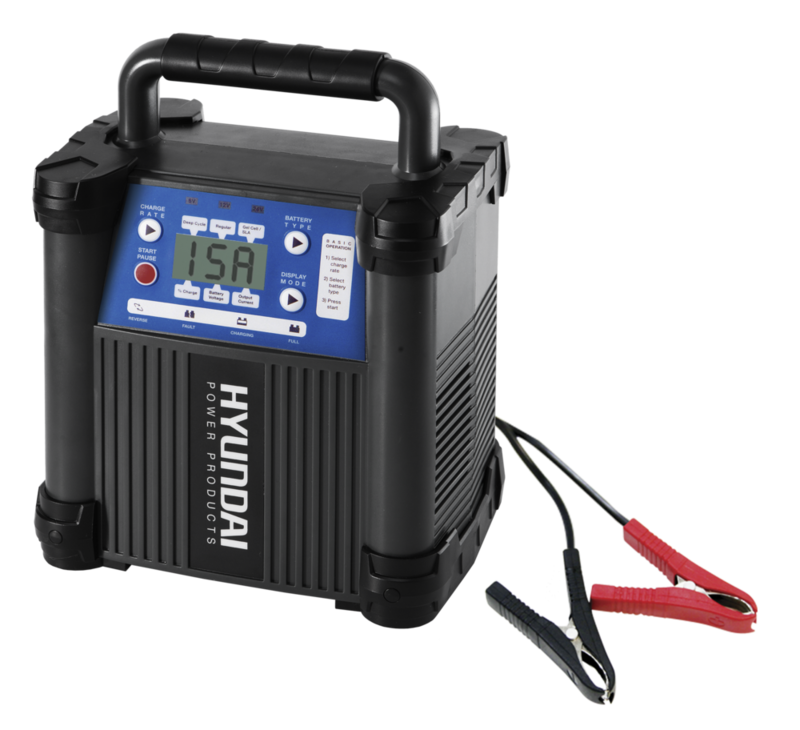 "AUSTRALIA’S BEST VALUE FOR MONEY BATTERY CHARGERS"
The top of the line HSC1500 is a exceptional lightweight battery charger with advanced digital technology to make sure your automobile's battery is always charged ready to go for your next adventure. 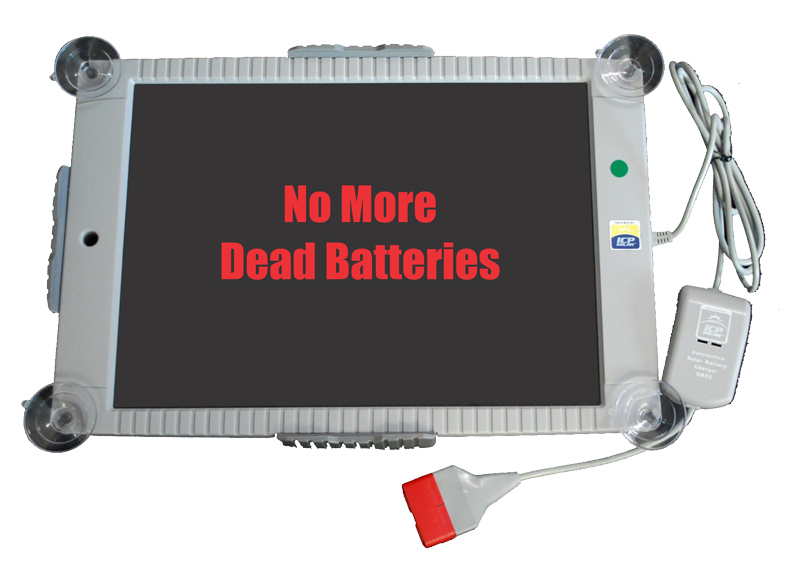 The HCS1500 is able to charge 6-12-24 volts ,this unit also has been developed with a easily used digital display system. 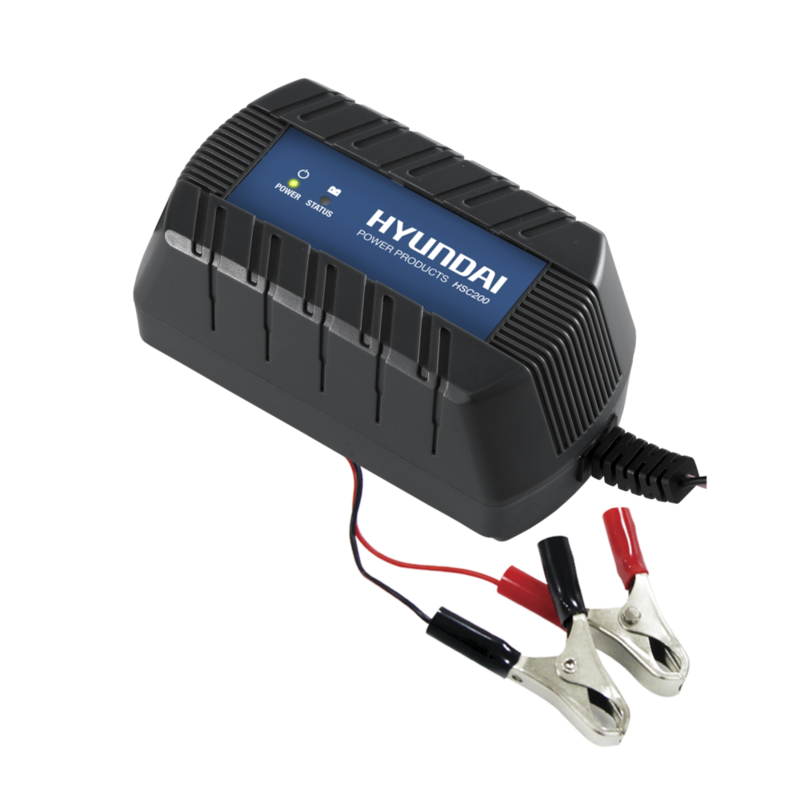 Leading to the entry point model HSC200 is a exceptional lightweight battery charger with advanced digital technology to make sure your automobile's battery is always charged ready to go for your next adventure. the HCS200 is able to charge 12 volts at 1.5 amps this unit has been developed with a easily used digital lighting system. all the Hyundai Smart chargers come with short circuit protection and reverse polarity protection. Priced from Just $69.00-$199.00 LESS 35% OFF " STOCKTAKE ON LINE SALE NOW ON"